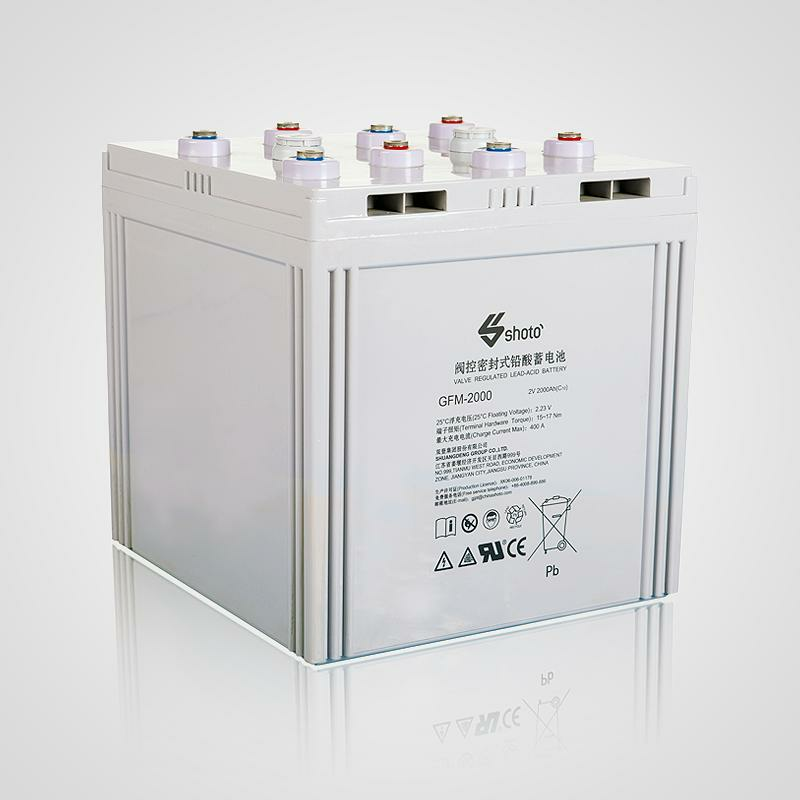 Shuangdeng Brand GFM series VRLA battery is the latest product developed by Shuangdeng through latest modern technologies. The product conforms to Standard YD/T799-2010 of the Ministry of National Information Industry, Japan JISC8704-2:1999 standard as well as IEC60896-2,2004 standard. Its performance parameters have reached domestic leading level and it enjoys good reputation in China. This product can be broadly utilized as backup power supply for communication and signal systems such as telecommunication, China Mobile, China Unicom, railway and vessels etc., as the energy storage system of solar and wind power generation, and as the backup power supply of UPS and emergency illumination. The plate is with the structure of big grid and block, and is made of special alloy through special process of quadribasic lead sulfate, which improves specific energy of the battery and prolongs the cycle service life. 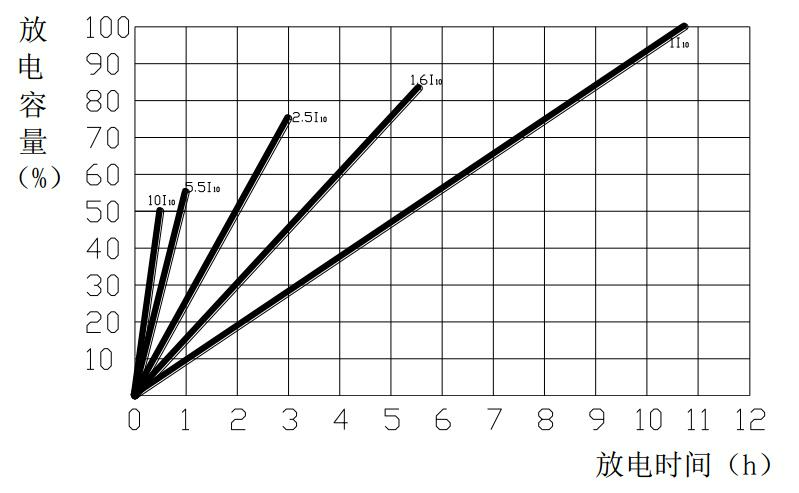 Positive grid (patent:ZL 01 2 72477.7) is made of special multi alloy, which overcomes the shortcomings of early capacity loss. It has long service life under both float charge and cycle utilization. Separator: made of absorbing super-thin fiberglass(patent:ZL 01 1 27020.9), its internal resistance is low and the discharge performance at high rate is good. Active materials(patent:ZL 02 1 12897.9): Special additive has been added into the lead paste of positive and negative plate, so that the utilization rate of active materials will become high and it will improve the charge acceptability. High-purity electrolyte(patent:ZL 02 1 12896.0): High purity electrolyte and special additive are used, which lead to low self-discharge. Special terminal seal structure(patent:ZL 02 2 20024.X): Unique assembled maze seal structure of terminal (patented technology) ensures the safety and reliability of seal. Safe valve structure(patent:ZL 00 2 41118.0): the valve is made of ABS materials of flame resistance. 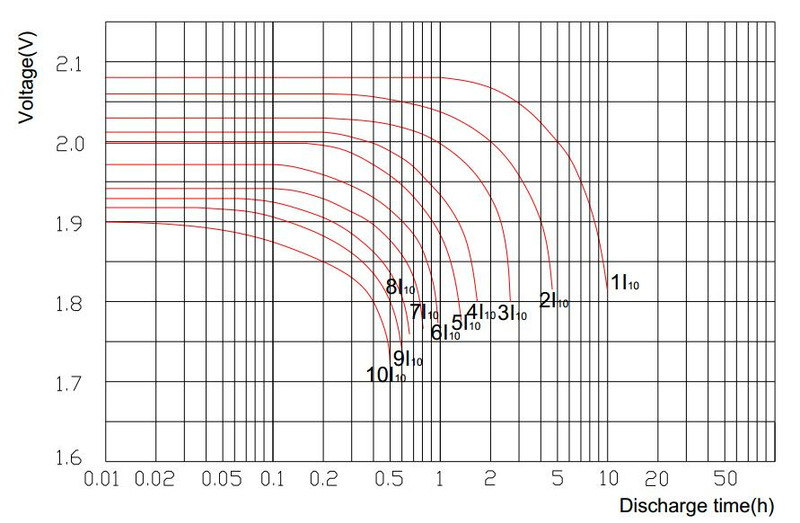 The valve core is in column structure, there is dual-filtering acid mist filters. It has the function of correctly controlling the pressure, flame resistance and acid mist filtering when valve open and close. Adopt U double-layer longitudinal pattern and tight assembly technology to prevent plate stress from affecting separator elasticity. Large-diameter copper core is adopted, the terminals and comb teeth are die cast together, which makes the internal resistance become less. Short circuit protection: plastic sleeve(patent:ZL 02 3 17823.X) is added for plate, so as to effectively avoid the short circuit of the positive and negative plate, and to avoid the bend and distortion when the battery is laid horizontally. 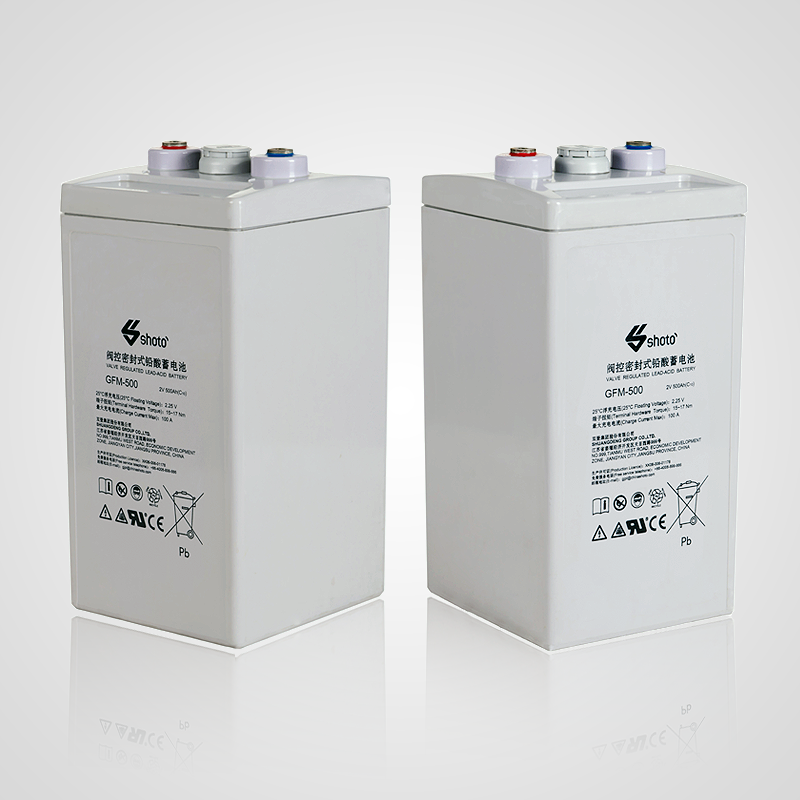 Battery shell(patent:ZL 00 2 40666.7): consists of flame-resistance and super strong ABS materials. It is sealed through patent technology of hot seal(patent:ZL 02 2 19847.4), and has the characteristic of attractive appearance, firm structure and reliable seal. Inert gas protect welding is used, special glue is applied for the second sealing to ensure no leakage. Single structure serialization: the single structure of “shuangdeng” GFM series batteries particularly designed, the max Single capacity is 3000Ah, the customers have much choices. 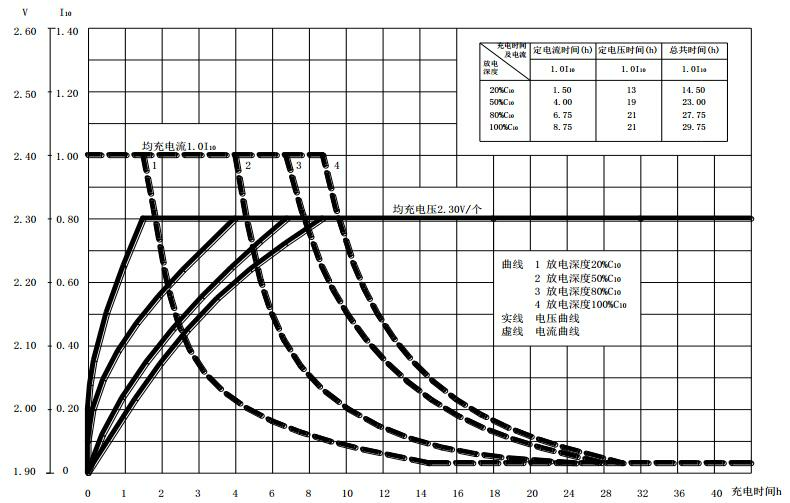 System structure: “shuangdeng” GFM VRLA battery can be installed by cabinet, shelf, and ground arrangement, thermal dissipation space has been laid out to effectively avoid thermal runaway. 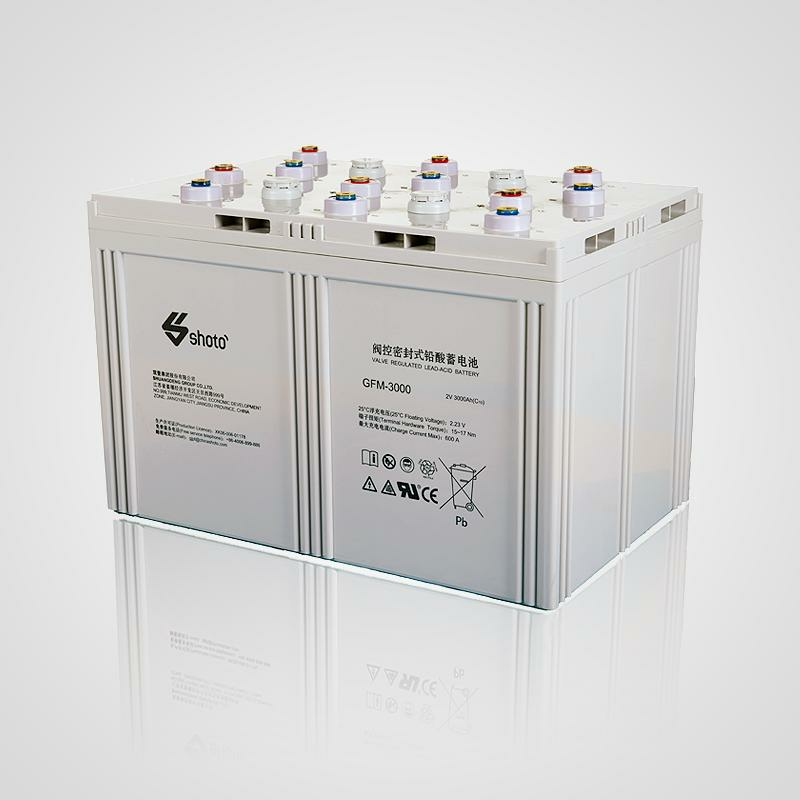 Charge acceptability:After the battery is discharged deeply by 100％, charge it for 10h at 2.35V/unit constant voltage limited current 0.15C 10 (A), the capacity shall be recharged over 98％ of the discharged capacity. Rated capacity:10h rated capacity 0.1C 10 A discharge till end voltage 1.80V/unit ≥C 10.3h rated capacity 0.25C 10 A discharge till end voltage ≥0.75 C 10.1h rated capacity 0.55C 10 A discharge till end voltage ≥0.55 C 10. 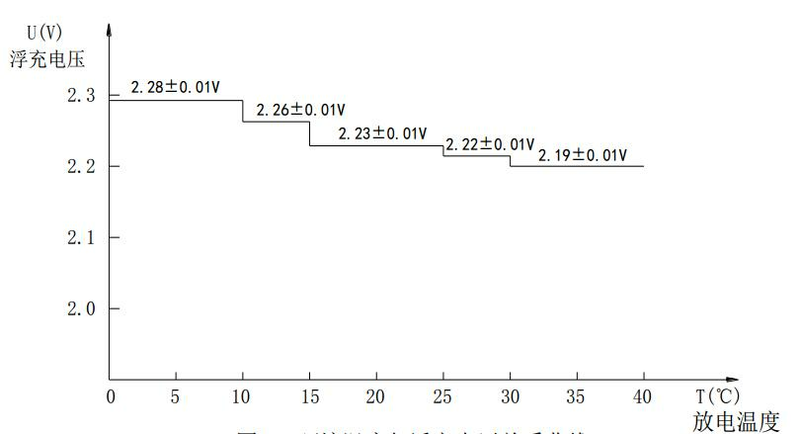 Capacity recovery performance （short circuit performance ）:Discharge to 0V at 0.1C 10 A, short circuit for 24h, charge for 10h with 2.35V/unit constant voltage and limited current 0.15C 10 (A), and then charge for 24h with 2.25V/unit constant voltage and limited current 0.15C 10 (A), check C 10 capacity, after continuous 5 times, the rest capacity shall not be less than 90％ of the initial capacity.